H2O Audio Waterproof iPod Shuffle (2nd Gen). 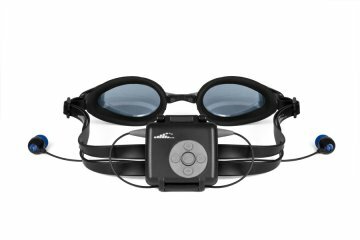 The Interval's waterproof housing and integrated waterproof headphones attach easily to most swim goggles making it a great way to stay motivated during your next swim by using your (2nd Gen) shuffle. Top rated shuffle case for swimming in 2009. Compatible with the Apple iPod Shuffle (2nd Gen). The new iPod shuffle 3rd Gen (4GB) is not compatible. Control pad allows for push button control of iPod Shuffle. Integrated waterproof headphones are acoustically engineered for exceptional clarity and bass for the best underwater sound quality. 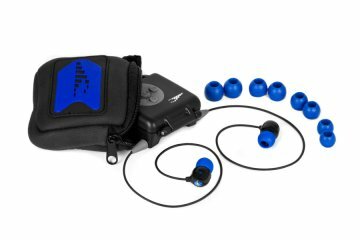 Ergonomically designed earplugs provide an individualized fit and watertight seal. Includes five sets (size XS-XL).